What you see here truly is a medley of patterns... stripes, leopard print, color block, ornate swirls, and studs. So many elements, yet well composed and harmonic. Normally, I try to stay away from looking like just another blogger, but I couldn't help it this time. 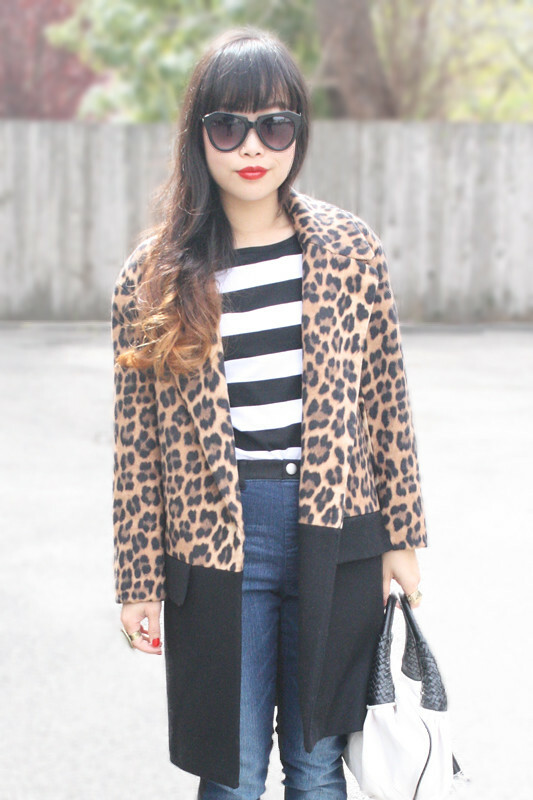 I can easily name 10+ fashion bloggers who have worn this leopard print and color block coat from Zara. Of course, they all have their own twist, and as do I. I styled this coat with a mixed stripes top, Fendi Spy bag, and two tone jeggings (half jeans and half leggings, literally) which were another awesome find from Target's kids section. Lastly, even these fancy heels have a medley of their own... ornate design in velvet and mesh, cut out details, tiny studded embellishment, and tasseled zippers. What do you think? Too much or just perfectly mixed? 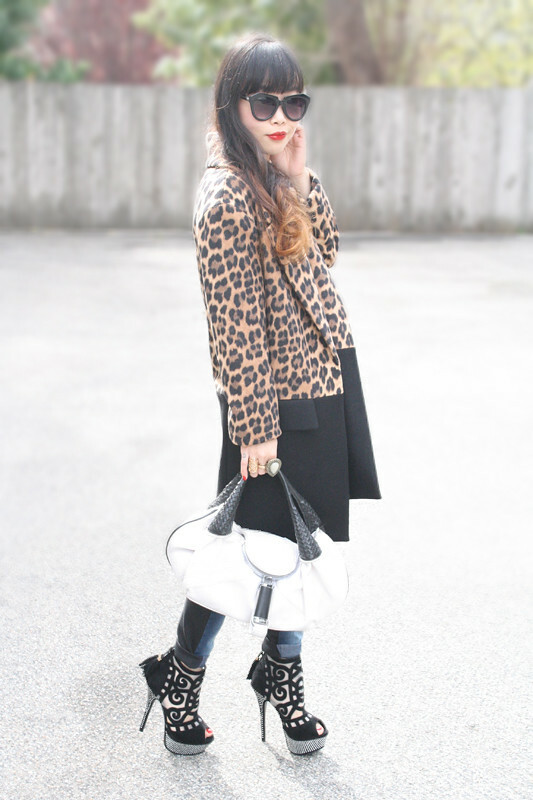 Leopard print and color block coat from Zara. Two tone jeggings by D-signed from Target. Ornate heeled booties by Liliana from UrbanOG. Wow this outfit is FANTASTIC! I love those shoes, the matching of prints looks so great! Target kids' section leggings?! I need to look at the Target kids' section asap. Sometimes I get tights and sweaters from that department, but I guess I need to look at the pants too. These are so cute. I love your leopard jacket paired with it.